A poster and a character collage image from Star Wars: Episode IX have leaked on the internet this morning, which includes Rey, Finn, Poe Dameron, Chewbacca, Lando Calrissian, and some new characters. If you do not wish to see any of these images do not proceed below. Seen are familiar faces in Rey, Finn, Poe, and Chewie, and the return of Lando Calrissian, wearing an outfit very similar to one Donald Glover wore in Solo: A Star Wars Story. Lando is brandishing a cane, as even smooth scoundrel’s have to get older. In addition to this we have two new characters. Naomie Ackie’s character appears to be named Jannah, and then we have a mysterious character named Zorii, which many believe to be a bounty hunter being played by Keri Russell, which I believe came from a rumor reported by MakingStarWars.net. 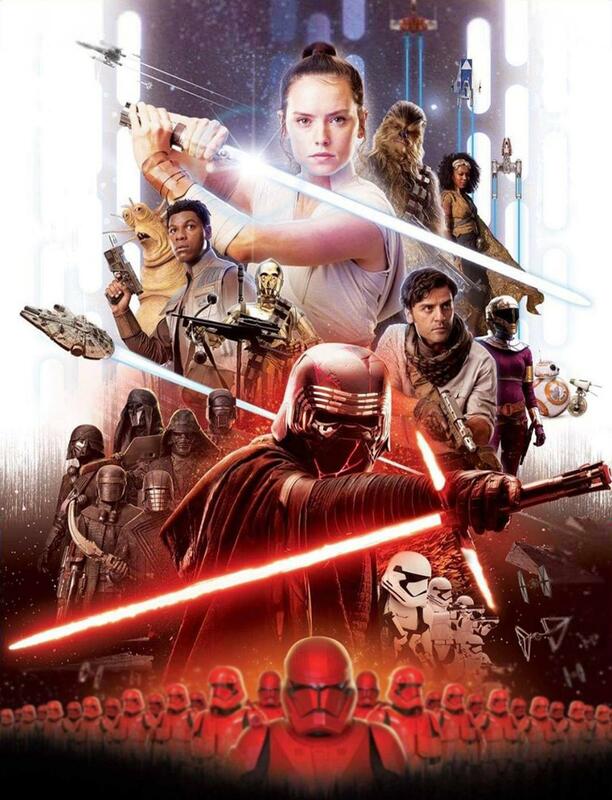 There is also an alleged poster of Episode IX making the rounds as well, which was posted here. We can not confirm whether the poster is real or not, but it is incredibly well made, which makes us think it could very well be real. If it is, it appears that the trilogy finally belongs to our new heroes and villains. Of course as with anything, please consider fellow fans who may not want to see any of this stuff, so we would politely caution to not post these things for the public to see. We will certainly see and learn a lot more about Star Wars: Episode IX at the Star Wars Celebration panel in just 16 days on Friday April 12th. Until then, let the speculation commence!